Jurors Select Official Entries for June 6 Race! 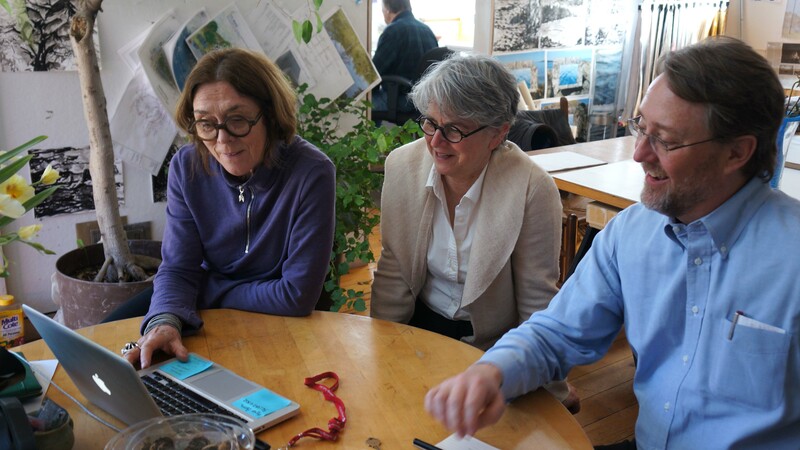 Mags Harries, Laura Knott, and Nick Capasso review submissions at Mags’ studio last week for the inaugural race. “This is the most fun I’ve had all week!” Nick said. Jeff Del Papa’s new class for adults. “I enjoy things on wheels, because they speak of the American life” — George Greenamyer, in the video. YouTube image below is of Arthur Ganson looking at Faster!, his first piece for the World Sculpture Racing Society. See Multimedia section for more, including another short video of the same event. A feature of Cambridge River Fest in the 80’s, is returning from a long hiatus, Sculpture Racing. Creations were pushed, pulled, and occasionally pedaled on a course of up to a mile. Pieces would stop and give little performances to the crowd. Outlandish trophies were awarded. Tongues may have been planted in cheeks. Crowds were over 100 thousand strong. 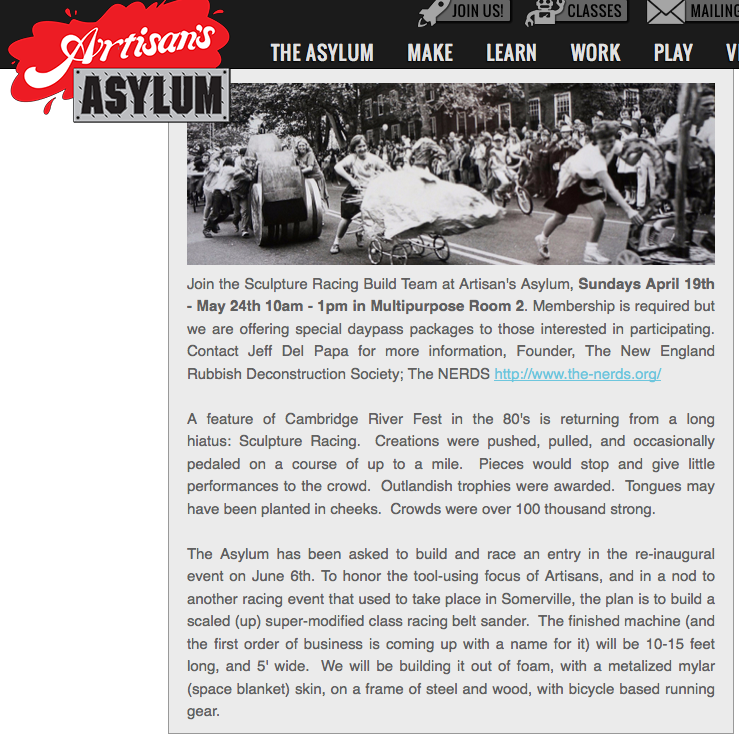 The Asylum has been asked to build and race an entry in the re-inaugural event on June 6th. 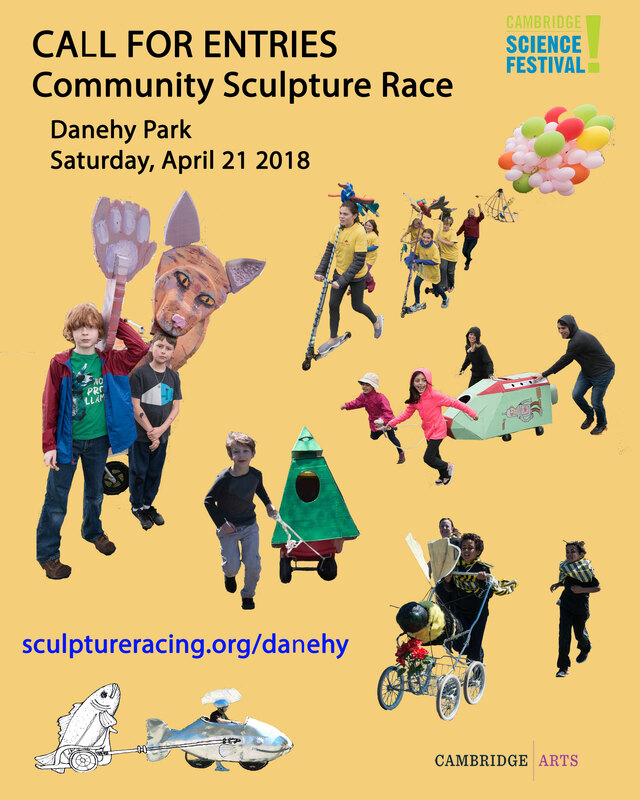 Here is a chance for the Asylum community to build a large and somewhat silly piece of art, and show their work (and the Asylum’s name) off to many thousands of people. An object almost as big as Stompy, but providing near instant gratification, as it will be weeks rather than years in the making. Starting on April 12th with an “organizational” meeting, and continuing Sunday mornings till mid to late May, will be an open building event. This isn’t a class, its a project. If you are a member, participation is free. (If you aren’t a member, you are still welcome to participate, and a 5 pack of day passes should cover things) Festivities will be from 10 am till around 2 PM, in the Tardis (aka MPR2). On April 26 instead of building, we will be part of an exhibition at the MIT museum, a “Signature” event of the Cambridge Science festival, showing drawings, some work in progress, etc. To honor the tool using focus of Artisans, and in a nod to another racing event that used to take place in Somerville, the plan is to build a scaled (up) super-modified class racing belt sander. The finished machine (and the first order of business is coming up with a name for it) will be 10-15 feet long, and 5′ wide. We will be building it out of foam, with a metalized mylar (space blanket) skin, on a frame of steel and wood, with bicycle based running gear. The prototype is an early 60’s model known to collectors as a “locomotive” style. Its going to have a whole bunch of sponsor stickers, like any good dragster, wheelie bars (that double as the push point), flames on the nose, and the ugliest piece of shag carpet or critter fur I can find as the sanding belt. Here is a chance to figure out how most theatrical props get made, but this is for more than the foam carving brigade. Costumes would be a great thing, and an area which I am completely clueless. The machine could use lighting and sound effects. Skunk, could SCUL come up with a Disco ball to replace the knob on the front?